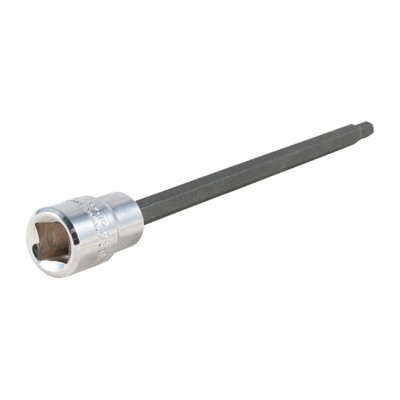 Features: Extra Long 5mm hex bit Fits 3/8" drive torque wrenches 5 inch length Steel construction Made in USA Mfg: Brownells 5mm hex bit. Fits 3/8" drive wrenches. OAL 6-3/32". Length (bit) 5".